Bubble wrap producer Sealed Air recommends you reuse your bubble wrap whenever possible to maximize its life. However, if you have a large quantity you need to get rid of, you can ship it back to Sealed Air. Find out more. If you buy bubble wrap to use for personal or business use, consider a greener alternative like EcoEnclose’s Corrugated Bubble. Newspaper also works well to wrap items for shipping or storage, and newspaper balls can fill up empty space in packages. It can always be recycled after it has been used, too. 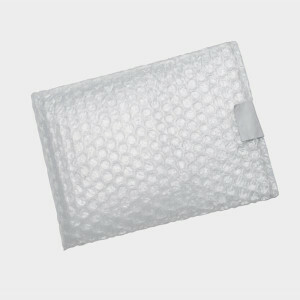 Keep any bubble wrap you receive and use it when you next need to wrap something fragile. One piece of bubble wrap can be used many times before it loses its usefulness. Some mailing stores will accept bubble wrap and other packing materials for drop-off. However, it depends on policies and current supply, so call ahead to ask. Use bubble wrap as a liner for your crisper drawer to prevent your fruits and vegetables from getting bruised. Bubble wrap can make some amazing costumes. Check out Martha Stewart’s No-Sew Bubble Wrap Jelly Fish and other ideas on Pinterest. Bubble wrap was first created by engineers in the 1950s who were trying to create a 3D plastic wallpaper. Though the wallpaper idea never came to fruition, they realized their invention would make a great packing material.